Eagle Watch will be held on February 23 and 24, 2019 at Round Butte Park. Students can submit their favorite raptor for a chance to win great prizes! Winter break is a great time to get started. DEADLINE: January 28 at 3:00 pm. How Do Birds Deal with the Cold? It has been snowing for two days at The Cove with single digit temperatures and as rangers have been plowing and shoveling, wearing several layers of clothing, we are still freezing. As I look around the only living things out here that are up and moving around are birds. There are a lot of different birds at The Cove and only some migrate to warmer climates in the winter. Yesterday I saw Canada Geese, various ducks, Red Tailed Hawks, a Bald Eagle, a crow and numerous American Robins out hunting for food. Have you ever wondered how they cope in the winter? You’ll be amazed at the amazing adaptations birds have to stay warm and survive the frigid temperatures. When the temperature drops I crave warm, hearty, calorie laden foods. These foods mean packing on the calories, which I’ll have to deal with in the spring, but birds need to increase their caloric intake too. Birds put on fat as both an insulator and energy source: More than 10 percent of winter body weight may be fat in certain species. It’s important to remember this can only be done in small amounts since they are a flying animal and still need to be able to take off. As a result, some birds spend the vast majority of their day time hours seeking fatty food sources. They are adapted to find, store, and remember where the food is so they can find it quickly. This makes winter foraging super efficient. Birds have to work smarter not harder in the winter. 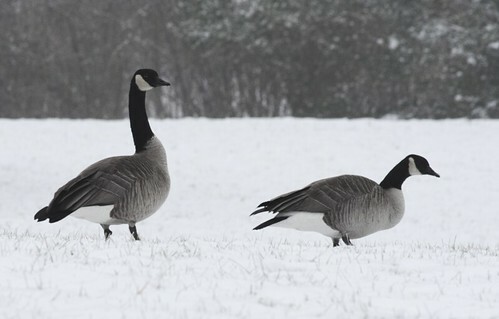 One of the most effective strategies for having enough energy from food to stay warm is to not do highly energetic things during the cold season such as defend territories, spend a lot of time singing (although the Geese are constantly honking! ), don’t build or maintain nests, don’t produce eggs or have hungry chicks around. Birds of prey highly detailed knowledge of its home range and patience can mean the difference between life and death. During a short break in severe weather, a Barn Owl can fly directly to the best foraging habitat in any given ground, light and wind conditions. They are more likely to hunt from a fence post than from the air; this saves energy that would be used in flight and reduces heat loss. During the day time they soak in the sun. “Feathers are incredibly specialized structures that serve many purposes including, for many species, keeping them warm,” says Peter Marra, head of the Smithsonian Migratory Bird Center at the National Zoo. Larger birds like geese will grow extra feathers. All their feathers help keep them warm, but especially the downy under feathers and act like tiny little North Face down coats. Bird feathers are also covered in oil which makes them waterproof. Smaller birds seek out dense foliage or cavities in rocks to avoid the elements and lessen wind-chill. Bird feet are covered with scales and have very little cold-damageable tissue in them. They are mostly bone and sinew. This minimizes the likelihood of frostbite. Bird feet are generally grabbing at rest, so it takes very little energy to stay attached to a branch. Ducks in Upper Deschutes huddle, bunching together to share warmth, and try to minimize their total surface area by tucking in their head and feet and sticking up their feathers. Some species like certain hawks will forgo a solitary lifestyle and form communal winter roosts. Some birds, like Chickadees shiver. Birds shiver by activating opposing muscle groups, creating muscle contractions without all of the jiggling typical when humans shiver. This form of shaking is better at retaining the bird’s heat. Many species have the ability to keep warm blood circulating near vital organs while allowing extremities to cool down; some can stand on ice with feet at near-freezing temperatures while keeping their body’s core nice and warm. 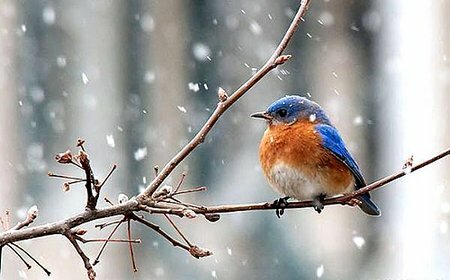 What can we do to help birds in the winter? According to the Audubon Society’s Winter Feeding Tips for Birds: One simple way to help birds when the weather outside is frightful is to hang feeders. To attract a diversity of birds, select different feeder designs and a variety of foods. For ideas on what to get for your home, go to: Audubon Guide to Winter Bird-Feeding for tips. The birds benefit from the backyard buffet, and you’ll have a front-row seat to numerous species flocking to your plants and feeders. USE CAUTION, birds come to rely on this as an easy and unlimited food source. If you aren’t going to take the time and spend the money to keep feeders full, it’s best not to start. Protect winter nesting sites. Just like humans need a warm place to go, bald eagles need shelter to survive harsh winter weather too. Winter can cause even large birds of prey a great deal of stress. The critical point to remember is that bald eagles are very territorial birds, and most breeding pairs return to the same nest site year after year. They may use the same nest annually for up to 35 years. If their nests are disturbed or destroyed, the pair may never build again. 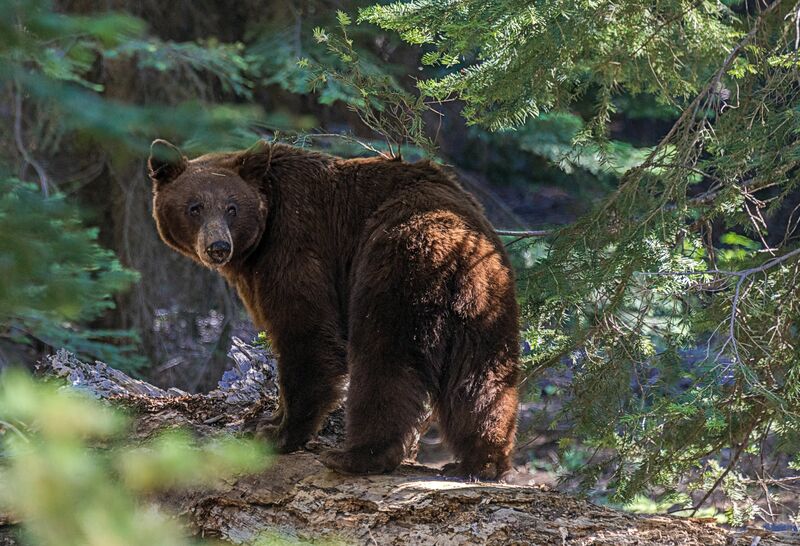 The less human caused disturbance the more likely we will have healthy breeding pairs in the spring. Another thing we can do is not chase birds that are huddled together in large groups. We all know they will get up and fly away if we run at them. Their ability to survive a potential threat costs them a great deal of life sustaining calories. “Petrichor,” is constructed from Greek petra, meaning “stone”, and ichor, the fluid that flows in the veins of the gods in Greek mythology (Blood of the Stone). The smell itself comes about when increased humidity – a pre-cursor to rain – fills the pores of stones (rocks, soil, etc.) with tiny amounts of water. While it’s only a minuscule amount, it is enough to flush the oil from the stone and release petrichor into the air. Some plants secrete oils during dry periods that accumulate in dirt and rocks, and when it rains, these oils are released into the air. As the water activates the oils it invariably hits you: the sweet, fresh, powerfully evocative smell of fresh rain. The second reaction that creates petrichor occurs when chemicals produced by soil-dwelling bacteria known as actinomycetes are released. These aromatic compounds combine to create the pleasant petrichor scent when rain hits the ground. Studies have revealed that the human nose is extremely sensitive to geosmin in particular—some people can detect it at concentrations as low as 5 parts per trillion. You may also smell this if you are turning soil over in your garden. Another scent associated with rain is ozone (O3). Some people say they can smell a storm coming. This can occur if wind pushes the ozone ahead of the storm. During a thunderstorm, lightning can split oxygen and nitrogen molecules in the atmosphere, and they in turn can recombine into nitric oxide (NO). This substance interacts with other chemicals in the atmosphere to form ozone, which has a sharp smell faintly reminiscent of chlorine and it can carry over far distances from high altitudues. The term equinox is used by meteorologists to mark the change in seasons in spring and autumn, and occurs when the sun passes directly over the equator, creating a day and night that are the same in length. The equinox occurs because of the tilt of the Earth in relation to the sun. The Earth’s tilt is 23.5 degrees relative to the plane of its orbit and means that, although one revolution of the planet takes 24 hours – it’s different depending on the time of year. On the autumnal equinox, the Earth hits the turning point in its orbit where neither the North or the South poles are tilted towards the sun. That means the amount of daylight and night time is the same at all points on the Earth’s surface. “Campers” in Deschutes Campground today enjoying the sunshine and green grass. Kids, come play! Oregon State Parks will be there! Enjoy a beautiful fall day with family! 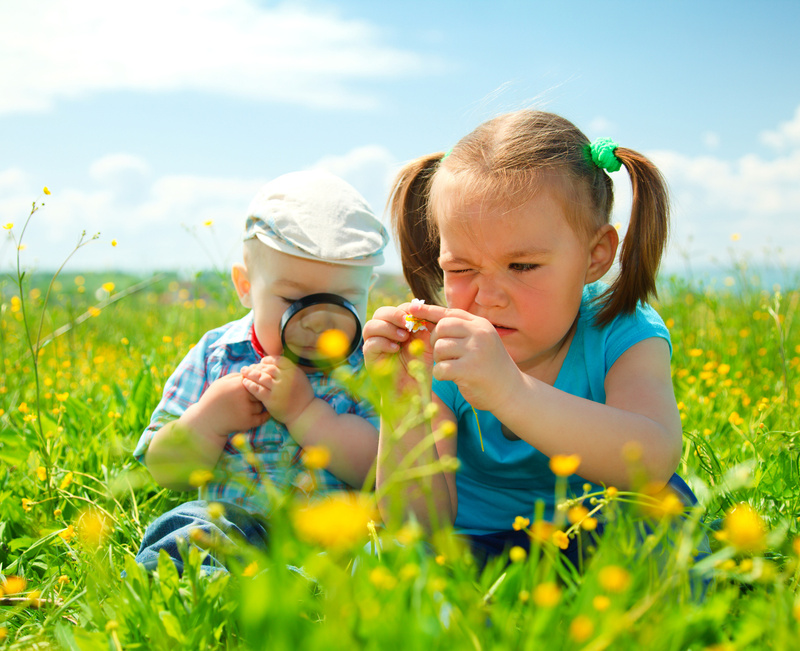 The Children’s Forest of Central Oregon presents Discover Nature Festival featuring over 35 nature education, outdoor recreation, and health and wellness activities. Bring your whole family out for a fun day to connect with nature, play fun outdoor games, practice outdoor skills, and spend time together. Free! Plus food carts, games, arts and crafts, and more! All activities are free and fun for all ages and abilities! Health Advisory Lifted – New water monitoring has confirmed that the level of blue-green algae toxins are below guideline values for human exposure. It is safe to boat/swim in the Crooked, Deschutes and Metolius River Arms of Lake Billy Chinook at this time. Why is the lake green? When the weather and the water temperature warm up, typically in late spring or early summer, the entire lake can resemble a huge pot of split pea soup. This occurs when the number of algae organisms begin to reproduce at an astounding rate. These algae are able to reproduce because there is an excess of nutrients found in the water. The algae can become thick and doesn’t smell very good. Algal blooms are a naturally occurring phenomenon, and are essential to the overall health of the lake. This excess bloom of plant life provides tons of food for other microorganisms and fish. What’s Up With The Red Lights? You may notice that all of the utility hook-up stations throughout the Crooked River Campground at Cove Palisades State Park are all now red lights rather than the traditional white lights. During the summer of 2015 a study was undertaken at the campground where 10 campsites’ utility stations were changed to red lights for illumination. Each evening the campers at these 10 campsites were asked their opinion of the change to red lighting. After they responded, they were told that the red lighting offered several advantages over the white lights. The results of the study were more positive than anticipated. There were no negative comments and several people asked why red lights weren’t being installed at all Oregon State Parks. As an additional benefit, placing a red film over the existing white lights cost less than $0.50 per campsite. So… enjoy the new lighting at Cove Palisades’ Crooked River campground. It is beneficial to the wildlife while being less intrusive to us humans. Thank you to Park Host Scott Spence for spearheading this project! Light Pollution is the illumination of the night skies by mankind. We are all responsible for the causes of Light Pollution yet very few of us understand the cause and consequences of Light Pollution. Simply put, Light Pollution is caused by manmade light sources point up or reflecting upwards. How Does Light Pollution Hurt Us? Nocturnal animals that come out and make nighttime their “daytime” suffer the most. Deer fall prey to their natural predators more easily. Mice and other nocturnal rodents are easier for owls to see. Hatchling sea turtles use the moon to guide them to the safety of the ocean but bright city lights lure them away from the ocean. Recent studies have found a link between breast cancer and bedrooms illuminated by Light Pollution. Fewer than 2 in 5 children born today will ever see the Milky Way in their lifetimes. Less than ½ of the population of North America, Japan, Europe, India and other populated locations can see the Milky Way from their backyards. HOW CAN WE STOP LIGHT POLLUTION? Check your home at night. Do you have light sources pointing up or horizontally? Do you really need 60 watts of light when 20 watts will work? Are your exterior lights under eaves? Get together with your neighbors and evaluate all of the light sources in your neighborhood. Take a look at your community. Are flag poles illuminated from the ground rather than from the top? Are billboards illuminated from the top rather than from the bottom? Does your community have lighting ordinances that reduce or eliminate certain Light Pollution sources? Consider going to a city council meeting and suggesting changes to ordinances if necessary. As an example, Flagstaff, Arizona has had strict lighting ordinances since the early 1960’s. Any clear night of the week a person can stand in the middle of highway 66, downtown Flagstaff and see the milky way. The Flagstaff police department reports a lower crime rate than many comparable sized cities. Become an advocate for your community. Ask business owners who contribute to Light Pollution to make changes to their exterior lighting to become more dark sky friendly. Investigate the subject of Light Pollution and offer to make presentations on the subject to middle and high school students. How Does Outdoor Lighting Cause Light Pollution? Have you ever wanted to teach others about nature, geology, history, astronomy, fishing, or outdoor safety skills? Have the Central Oregon High Desert as your classroom? Do you like being around people? You can do all these things as an interpretive host at The Cove Palisades State Park. This is a fun and rewarding opportunity in a breathtaking location. As an interpretive host you will be an important part of hundreds of family’s summer vacation memories. Just to name a few resources to inspire your creative energy… the Cascade Mountain Range, Lake Billy Chinook, a rich and interesting local history that includes Native Americans, pioneers, homesteaders, farmers, fisherman and more, a variety of wildlife from bats to cougars, birds of prey and the unusual whip-tailed lizard, and a vast dark night sky filled with billions of stars, planets, galaxies and of course the full moon. 4th of July weekend and National S’mores Day are extra fun events here in the park with campground parades, family fun games and campfire programs. If you like to work with kids, we offer Junior Ranger Programs daily in the summer. You even have the opportunity to dress up as the Oregon State Parks mascot J.R. Beaver! Each host site provides water, power, and sewer service to make you feel right at home while you are here with us. For more information or a full job description, please contact Ranger Erin Bennett erin.bennett@oregon.gov or Monday – Friday from 7:30 – 3:30 pm at 541-546-3412 x 229. We hope you will come join us at The Cove! JR loves to hang out with our Hosts!